The Counseling Program at CCFI specializes in working with infants and their caregivers and children and teens, ages 0-17. Our therapeutic philosophy is grounded in the fact that children need healthy relationships with adults to maximize their potential. CCFI’s counseling team addresses trauma and behavioral issues with children and teens and engages parents in support and education services so that they are better equipped to cope with situations at home. The majority of children we serve come from foster, adoptive or guardianship families or families who are receiving other services from CCFI. When capacity is limited, priority is given to children with urgent need and infants and young children, ages 0-6. The child will likely be referred elsewhere for services if the primary issue is related to substance abuse, eating disorders, sexual abuse, criminal behavior, developmental disability (such as autism) or if the child requires psychotropic medication. Exceptions to these criteria may be considered if there is reason to believe that CCFI is uniquely qualified to provide the services. Our counseling team uses a variety of child and family friendly models to design family specific interventions. We are proud to use the Trust-Based Relational Intervention (TBRI®) and Theraplay® models as well as methods from Art Therapy, Movement Therapy, Play Therapy and Trauma Focused Cognitive Behavioral Therapy, among others. Services include therapeutic play and other individual sessions with children and youth, family therapy sessions, family therapy group and children’s therapy groups. To inquire about couseling services, please contact Jessica Hodges at 405-364-1420 or jhodges@ccfinorman.org. 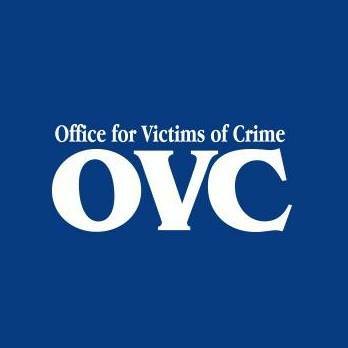 CCFI's Counseling program is funded in part by the Oklahoma District Attorney's Council Office through a U.S. Department of Justice Victims of Crime Act (VOCA) fund. These funds are awarded to support direct services to victims of crime. The funds are generated through federal criminal fines, penalties and assessments and do not include general tax revenue. The most common crime victimization among families served by CCFI is child abuse and neglect and domestic violence.